Sugar beet growers and Lantic Sugar signed a two-year contract extension last week, which includes a commitment to develop a rolling contract when the new pact expires in late 2020. A deal was eventually hammered out in mid-May that year. On Friday, the Alberta Sugar Beet Growers (ASBG) stated that 28,000 acres will be planted for the 2019 season to supply the facility. The agreement also includes the 2019 and 2020 growing seasons, after which the two sides hope to a have the framework of a rolling contract in place. Contract talks were finalized April 16. 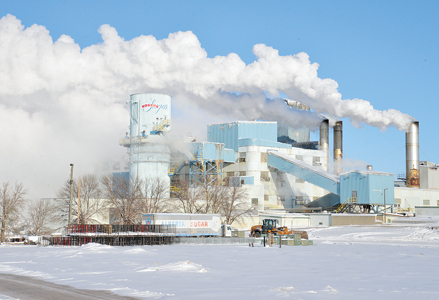 The plant, which employs up to 250 workers at peak times, can produce more than 100,000 tonnes of sugar each year that’s sold under the Rogers brand. Unionized workers at the plant signed a five-year contract in early 2017. Some of the highlights of the deal include bulk return increases to $347 per tonne of sugar in 2019 and $348 per tonne of sugar in 2020, and a commitment to plant investment to take care of environmental and regulatory concerns by 2020. Other investments include two new low profile decks for piling grounds and a scale in Picture Butte by contract’s end, and development of an annual pile management strategy. “We’re happy that we were able to keep the forward momentum of the industry going, and this is a contract that opens up that future for us,” said Bergen-Henengouwen. On the NAFTA negotiations front, where concessions on Canadian sugar has been rumoured as a potential bargaining chip, Bergen-Henengouwen hasn’t seen any recent developments.